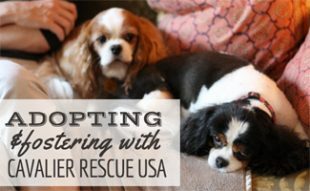 We’re not the only dog lovers with canine rescue stories on the brain. RiverRun International Film Festival in Winston-Salem, NC seems to have an interest in dog rescue stories, too. 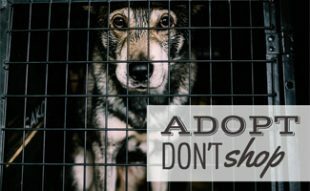 And given that April is Prevention of Cruelty to Animals Month, this article and movie seems very fitting to share. We hope you will have the opportunity to see this movie and help raise awareness to prevent cruelty to animals like Susie in the future. 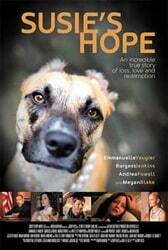 At their 2013 festival, RiverRun will be screening Susie’s Hope, a film, based on true events, that tells the story of Donna Lawrence and her adoption of a Pit Bull-mix puppy — a puppy that someone had set on fire and left for dead — just months after surviving a horrific Pit Bull attack herself. 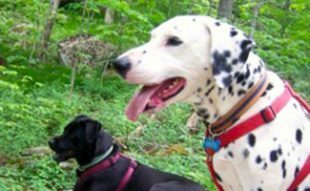 Together, the pair learned to heal, love and forgive, and started a non-profit, which the film was named after, to speak out against animal cruelty. Over 15 percent of all ticket sales go to support the charity’s work. The film was shot in Winston-Salem, NC and stars Emmanuelle Vaugier, Burgess Jenkins, and Andrea Powell, among others. When her neighbors moved away and left their dog chained to a tree, Donna began feeding it instead of calling animal control. One day, the dog attacked her from behind. After a terrifying struggle, she was able to make it to a neighbor’s house, and they called for help. It was two months before Donna could walk again; the doctor told her she was lucky to be alive. Even after her physical healing was through, Donna continued to carry the emotional scars from the attack and became fearful of the animals she’d always loved…until she met Susie. Susie was just eight weeks old when her owner beat her severely and set her on fire for licking his baby’s face. She was found in a Greensboro, NC park ten days later with second and third degree burns on over 60 percent of her body, a broken jaw, ears burned to nubs, and knocked out teeth. 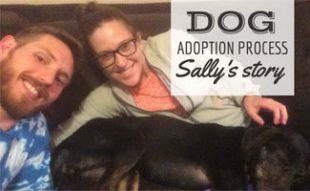 After months in rehab at a local animal shelter, Susie regained her former puppy love, and was adopted when she turned one year old by Donna and Roy Lawrence. She’s now trained as a therapy dog, and having become a Canine Good Citizen, works with other burn victims like herself. Prior to 2009, there were no harsh penalties for animal cruelty in North Carolina. The worst penalty that an abuser could receive was five months probation. With the support of Senator Don Vaughn, Assistant District Attorney, Chris Parrish, Guilford County Animal Shelter Director, Marsha Williams, and countless other community members, Donna and Susie began campaigning to pass S.B. 254, otherwise known as H.B. 1690 or more popularly known as Susie’s Law. It was a law that would make animal abuse a felony in North Carolina, a felony punishable by jail time. Governor Bev Perdue signed the law in 2010 and Susie’s Law took effect that December. The mission of Susie’s Hope, the non-profi organizationt, is “to foster awareness of the animal abuse that exists in our nation and to work to end this epidemic by providing education to people of all ages.” To educate the community, Donna and Susie work together as a team visiting churches, pet adoption fairs, schools, and fundraisers, instilling fundamental, yet key, values in the people they meet: That owning a pet is a huge responsibility and honor, that no animal should ever be hurt or abused, that you should be safe around animals you don’t know, and most of all, that love and forgiveness can cure a world of hurt. In addition to screening Susies Hope at their 2013 festival, RiverRun will also host a dog-friendly film, Babe, on Fourth Street in Winston-Salem, NC (our home base). Fido Film and Folic will take place on Saturday, April 13 at 6pm, and will be a free screening of the film. Bring your canines, and your human friends, too. You may even see some of the Canine Journal crew! I justv watched Susie’s Hope which raised my awareness to animal cruelty. I love this movie and have encouraged friends and family to watch it. Wow. What a wonderful ending to a horrible beginning. Let all animals lovers unite!